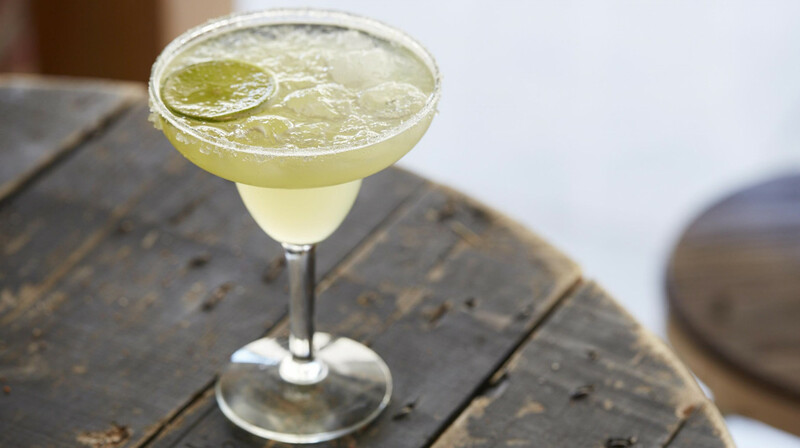 Latin American bites and beats in the heart of Bondi Beach! 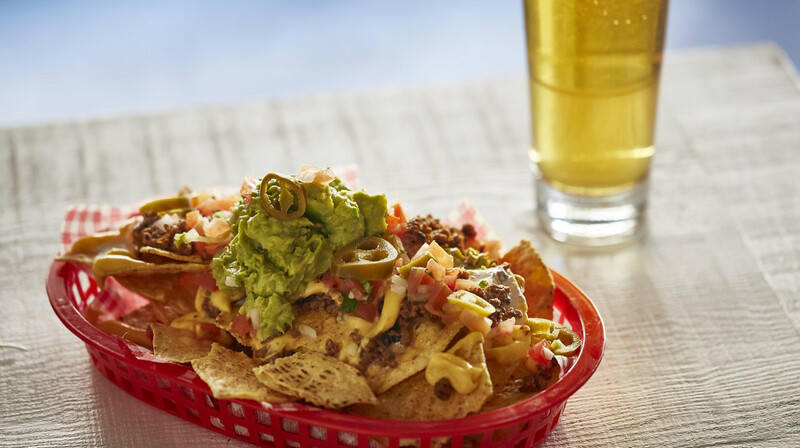 Take a culinary journey from Mexico all the way to Argentina with your amigos at Bondi Rumba. 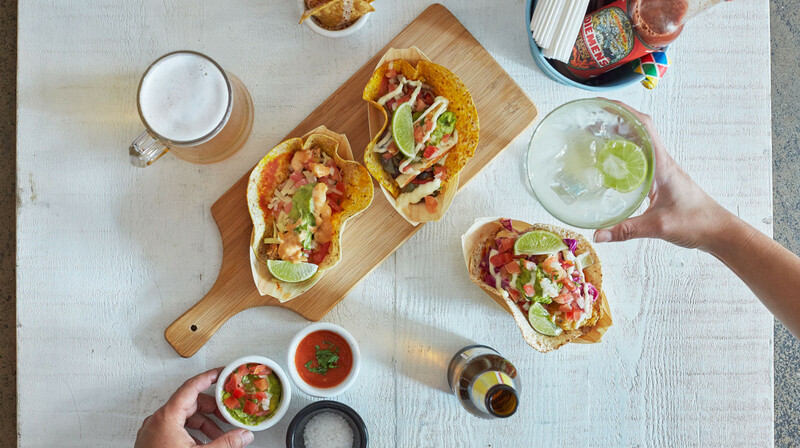 You’ll find all your favourites like Empanadas, Quesadillas, Burritos and Tacos (but not as you know it; why not take your Tacos served in cos lettuce leaves for a lighter option?). House specialities include regional delights like Coxinha (Brazilian croquettes) and Baja Fish Tacos! Beachside dining needs a drinks menu to match. 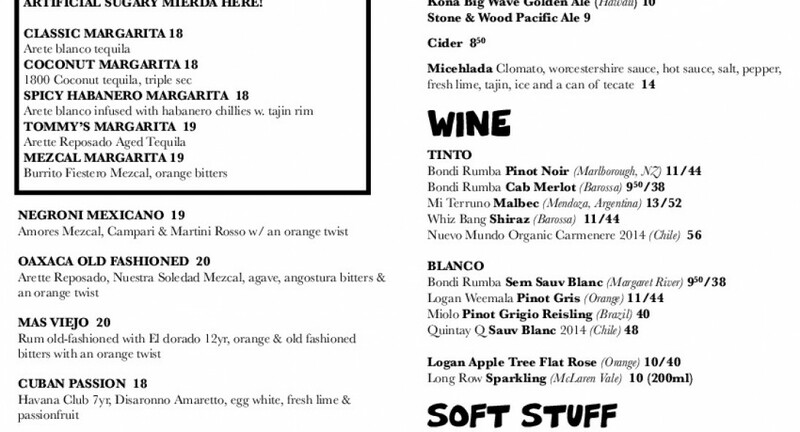 Bondi Rumba serves up South American and local wines as well sangria, mojitos, coconut cocktails and margaritas lovingly made from freshly squeezed lemon or lime juice and agave syrup. Proving that good things come in small packages, take a table inside for cosy, friendly dining or chill out in the leafy outdoor courtyard. Step into the ‘Latin beach shack’ for the perfect mix of bar, bites and beats. Very tasty food, no fuzz, good portion size and reasonable prices. Staff is super friendly and quick. Try the Sangria! Great food and fab customer service! Would highly recommend going there! Incredible! We were only in the area for a day but I wish I could eat there every night! 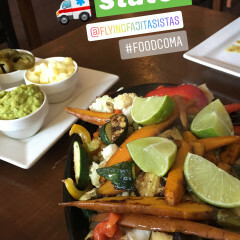 The service and food were perfect and I recommend the tacos! Great food and service, will go again! Great food, drinks and attentive service even though they got busy. Would definitely recommend you try Bondi Rumba. Great team and amazing what they can put out of such a small kitchen. Very welcoming from the minute we arrived, from the guy anyway, the waitresses didn't speak or make any eye contact at all which was a bit strange. 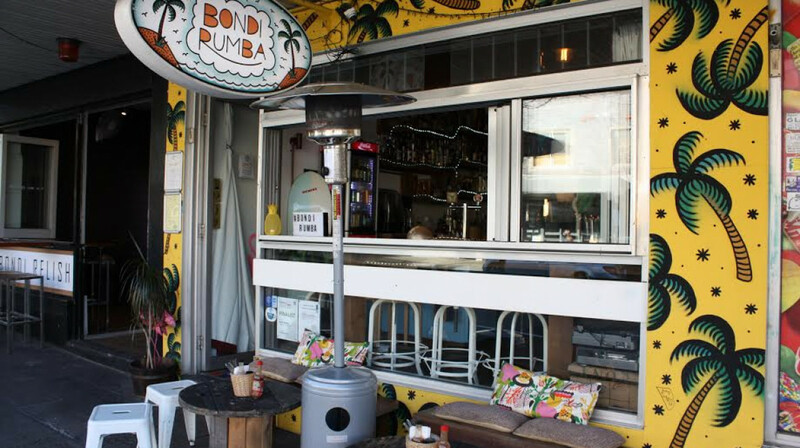 Bondi Rumba is tiny and very much a straight from the beach kind of place. The sangria was BEAUTIFUL, the tastiest I've had in a long time! As were the vege mix quesadillas .. mouth watering!! 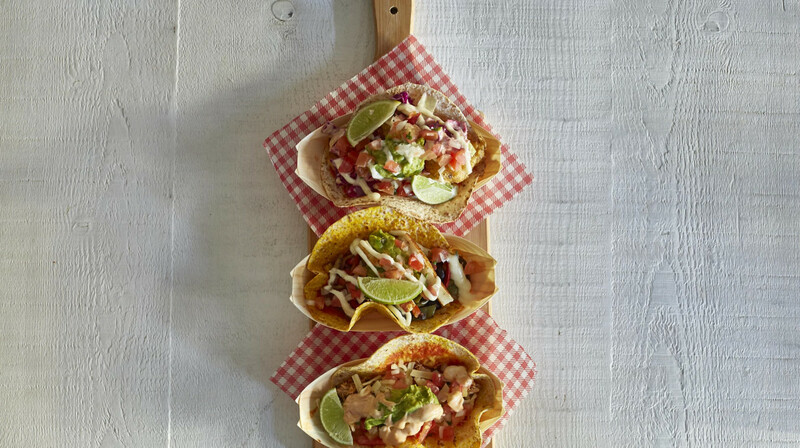 We tried one of every taco following another review that we read and we're glad we did, they were all (except the vege one) delicious!! I don't think the amaze-balls were amazing and the ash trays defo need a clean but we would 100% go again .. thank you!! Service very friendly, smiling and cool staff, we ordered one beer to share and it arrived directly in two separate glasses. The food was good, not particularly impressive, probably not at restaurant level, I would suggest a stop for a snack or appetizer before dinner or for a very quick meal. Four of us tried Bondi Rumba for the first time yesterday after a day at the beach. It was the perfect end to the day. We sat outside at the back, which is small but cute & cosy. 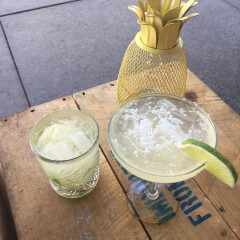 The staff were very friendly and recommended we start with the frozen passionfruit margaritas and order 2-3 Tacos each. The food was delicious, highly recommend the Brazilian ‘amaze-balls’ very traditional, very impressed. The tacos were beautiful and love the healthy option of having them in a lettuce leaf! Amazing cocktails.. coconut margarita is die for! Looking forward to going back.. only thing I will say is not to sit outside in peak hour with all the buses going past, you will get polluted! It is a shame they don’t have more fans or air-con inside or in their outdoor area in the back. Neat little find! The vibes of the restaurant feels like a beach shack and makes you feel like you’re on a holiday at a Thailand resort. There wasn’t any a/c but the food made you quickly forget about that! Food was amazing and staff were so accommodating, friendly and nice even with our two young kids/baby. Definitely would go again! Service was really good, the food was abundant and tasty. A really good night! Nice setup and pretty good good. Churros were the highlight. Cool little venue. Staff were friendly and welcoming and service was good. All the usual suspects on the menu and food was pretty much as you'd expect as well, not knockout but not bad. Great authentic Mexican food! All the tacos are DELICIOUS! My recommendation would be to order every taco so you get a bit of everything. Great drinks, great food, lovely service/people! Will come back. Great vibe! 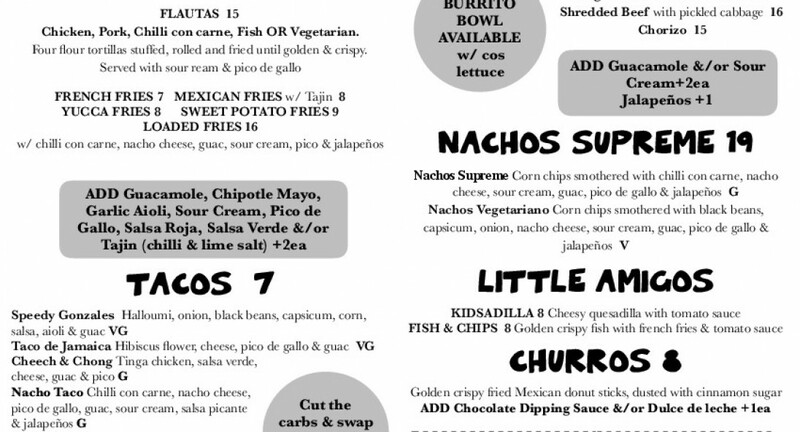 Really chilled and relaxed environment and the best Baja Fish Burrito I have ever had. Loved it. Thank you for having us! We will be back and next time will happily pay full price. Cheers! Absolutely amazing food! Everything we tried we loved. Cocktails were divine, too. And the service was super duper friendly. We were seated in the little outdoor area at the back, which was ideal as we had our children with us, so they could run around without disturbing anybody. Whenever they did get in the way, all the waiters were super nice to them. Small drawback when dining with little children: the food did take quite a while to come out. So next time we are back sans the little ones! Great food! Great atmosphere! Great Staff!